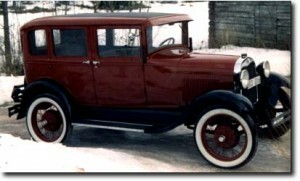 Åke Lindkvist bought this Ford A 4d Sedan-29 in 1990, and he has now restored it with some help from NetClassics. 1929 4d is not so common here in Sweden. Thanks for the nice photo Åke!